For our first December show, Carolina Catholic chats with two authors from Ignatius Press: Matthew Arnold who wrote “Confessions of a Traditional Catholic” and “a priest” who wrote “Report from Calabria: A Season with the Carthusian Monks.” The author of this book, an American priest, chose to honor the customs of the Carthusians to remain anonymous. 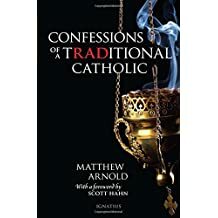 In Matthew’s book, he shares his conversion story and the roads that led him to the Extraordinary Form of the Mass. 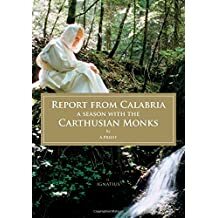 In the priest’s book, he documents the four months he lived with the Carthusians, the history of their order, and the daily regimen of these monks.